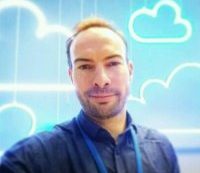 About – Antonio Feijao, Antonio AWS, Antonio Cloud, Feijao UK, AWS Cloud Solutions Architect, Open source, Python, Amazon Linux, Ubuntu, CentOS, Redhat, Linux, Networking, Cisco, Firewall and IT Cyber Security passionate! My name is Antonio Feijao and I am originally from Portugal. I lived on 2 different continents and 3 different cities, Lisbon-Portugal, Luanda-Angola and now London-United Kingdom. Currently working for Amazon Development Centre as an Infrastructure Engineer for Global IT. I am an enthusiastic workaholic and I am fortunate to say that I like my work. I focus on solutions and look at the problems from the client perspective. Sometimes I mentor colleagues around the globe! Outside of work I dedicate time to sports, study, family, friends and especially to my girlfriend who recently bought me a star! (name registration star name, I did not even know that was possible!). I am passionate about High-tech, IT Security, Information Security, Linux Redhat Centos Ubuntu, Networking Cisco Juniper firewalls, VPN, encryption, cryptography, bash python shell scripting, AWS cloud services, websites and domains. I am also passionate about discovering our planet, new cultures and history, green parks for running and working out, cycling, mountain biking, yoga, snorkelling, motorbiking, travel to new places, tough mudders, photography, playing guitar, reading, sleeping, studying and learning new languages. Always wishing the best for everyone!